ERJ for easyJet Europe? Sounds strange, doesn't it? Does flybmi reduce their fleet in 2019 or will they get new planes? I think even EZY will find it hard trying to operate a ER4 profitably with a low cost business model. It will be interesting to see what routes it will be used on if it is indeed destined to EZY. I doubt they would, be reducing there fleet the hardly enough aircraft to cover the operation as it is.... When it comes to getting bigger aircraft... who knows... they seem to talk about it a lot, however no real action so far. oh, wasnt that being pitched as the first for Loganair.... another bumsteer? That is Aero4M/Regourd's livery. They operated for BMI Regional from LDY for 2 months last year whilst there was a lack of aircraft. Quite a nice livery if I'm honest, just a shame it is leaving. Don’t think we will see any ER4’s transferred to Loganair before the New Year. Noticed a couple of weeks ago that Loganair have updated there S19 schedule to show which of there current destinations from GLA are to be operated by a ER4 from 31MAR19 (details below). Based on the current schedule it appears LM wil, be adding 2 ER4’s on the same day. The aircraft seem to be in addition to the ER4 operated by BM for LM as they are still showing as being operated by a ER4. LDY - ER4 will op 6 out of the 8 weekly flights scheduled. Wasn't the idea to expand to European destinations with the ER4s? Instead they are using them to shortish routes to BEB and SYY where a turboprop will do the job given the route length and the lack of competition. Or have the Saabs become so expensive as hangar queens that a generally more expensive 50 seater jet turns out to be cheaper? The INV routes are still to be operated by BM during S19 from what I've heard. Still room around that schedule for one or two European destinations which I’d guess are CPH and BRU and hopefully going forward they can expand from there but ofcourse this depends on bmi expanding their fleet. 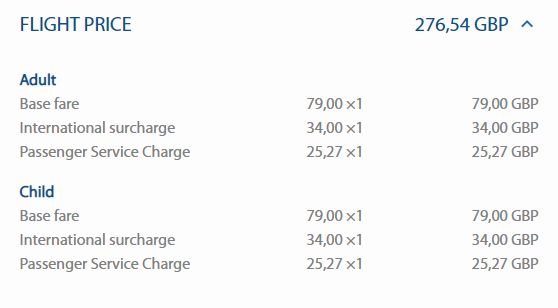 anyone advise on an international surcharge on a domestic service? As rumours are going round about a UK airline looking at acquiring the ashes ( = the AOC) of VLM, how have flybmi's plans to safeguard its operations on the continent against Brexit advanced? flybmi has been named as ‘The Star Business Airline of the year” in the prestigious Travel Bulletin Star Awards for 2018. Voted for by travel agents, the award is in recognition of the airline’s premium quality, service and support of their travel agency partners.